The Patriarch Series of deep-tufted Nano Coil hybrid mattresses ascends to new heights in the application of materials science. As a quilted pocketed spring mattress, the Patriarch delivers deep conforming comfort and a total elimination of motion transfer across. As a hybrid, the thoughtful layering of Nano Coils, high-density memory foam and graphite-infused Talalay Latex delivers uncanny pressure relief to joints. The Patriarch Series features deep tufting as a method of securing the multiple layers of Nano Coils that are attached with heavy duty Kevlar strapping and wool rosettes for even greater longevity. Heavyweight upholstered quilting is made from natural tencel fibers and infused with Lycra before being knitted into super heavyweight panel covers and treated with Max Breeze™ technology. 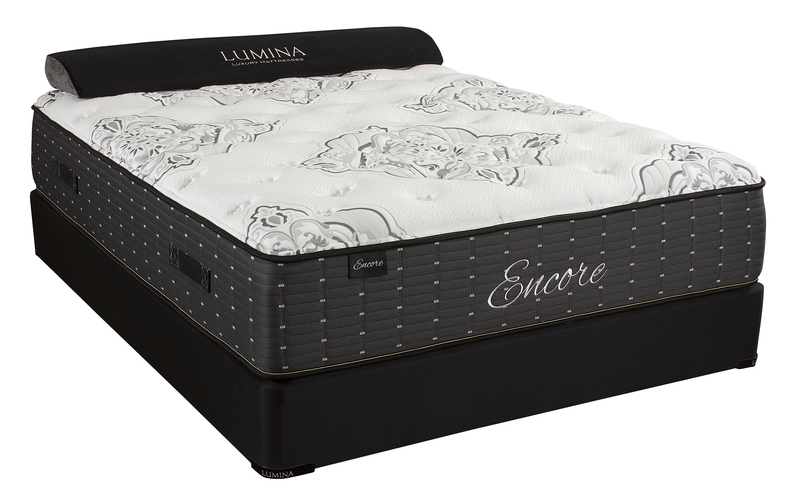 The Patriarch Series of mattresses are available in Firm, Luxury Firm, Plush and Latex Super Plush models. A Thick Layer of H.D.